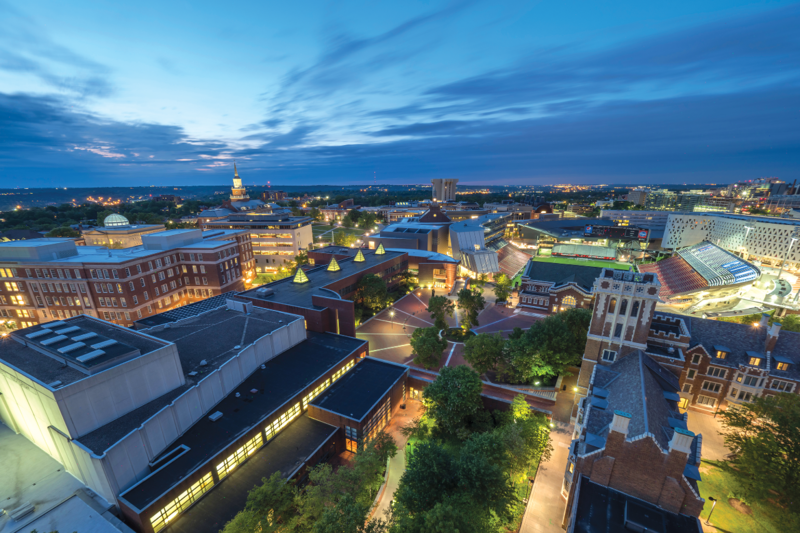 Experience the arts in summer workshops at what the New York Times called "one of the nation's leading conservatories"
The University of Cincinnati's College-Conservatory of Music provides high-caliber summer arts classes and workshops for college students and adults beginning in May 2019. CCM's summer programs offer arts enthusiasts the chance to work with the college's world-class faculty and renowned guest artists at CCM's state-of-the-art facilities. Students can study instrumental music, playwriting, dance, music education and more in CCM Summer's workshops and affiliate programs. Details and registration information for each program is below. For more information, please contact CCM Summer Programs at 513-556-5609 or ccmsummer@uc.edu. 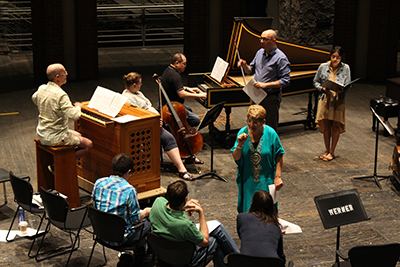 Participants study Baroque chamber music in CCM's Cohen Family Studio Theater. Instrumentalists and singers are invited to study Baroque arias, chamber music and continuo playing at the internationally renowned CCM! With arias and chamber music by Johann Sebastian Bach as the focus, students will participate in coaching, master classes, and workshops on Baroque performance practice, culminating in a public performance. Students are welcome to bring modern and/or Baroque period instruments. Please note, applicants will be asked to upload a brief audio sample. Playwrights hone their craft in CCM's Dieterle Vocal Arts Center. Calling all aspiring and experienced playwrights — write a new short play or finish an existing script in this six-day workshop at CCM! Participants will write, take master classes with industry professionals and have their work performed by CCM’s resident actors! Please note, applicants will be asked to upload a short writing sample. 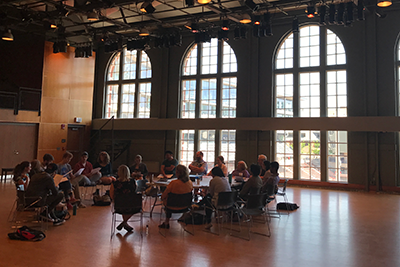 Music educators study the Orff Schulwerk approach to learning, which focuses on active music making to support child development and learning. 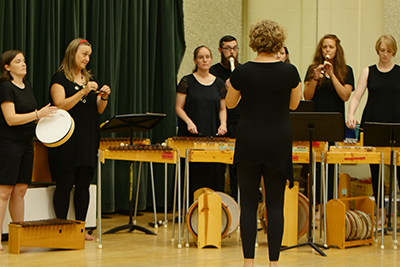 This approach to learning, developed by Carl Orff and Gunild Keetman, builds musicianship through singing, playing instruments, speaking, moving and improvising. During this training, you will develop skills in singing, expressive speech, movement, Orff ensemble/percussion, improvisation/composition, recorder and pedagogy. 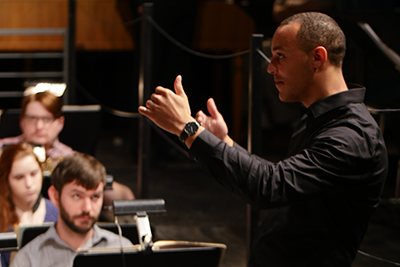 CCM Summer's Opera Bootcamp is open to conductors, singers and pianists. Opera Bootcamp is an intense and dynamic program designed to develop the interaction between conductor, orchestra and singer. The skills taught at Opera Bootcamp can be applied quickly and effectively to have great impact on your success as an artist. If you are an aspiring conductor, singer or pianist/coach… we want YOU! In just two and a half weeks, participants will present two performances featuring the work of Wolfgang Amadeus Mozart: a production of Italian opera Le Nozze di Figaro, (The Marriage of Figaro)* with orchestra; and a concert featuring the Overture to Der Schauspieldirektor, Symphony No. 38 in D, K. 504 (Prague) and a concerto. Advanced opera singers will have the opportunity to learn a role in its entirety, work with renowned faculty and industry professionals and participate in daily Italian classes and coachings. *Please note: the opera will be performed without secco recitatives.